Poor Tottie Tomato has been left sleeping in her antique wicker suitcase for the entire month since we moved to our new home. That’s her suitcase behind her. 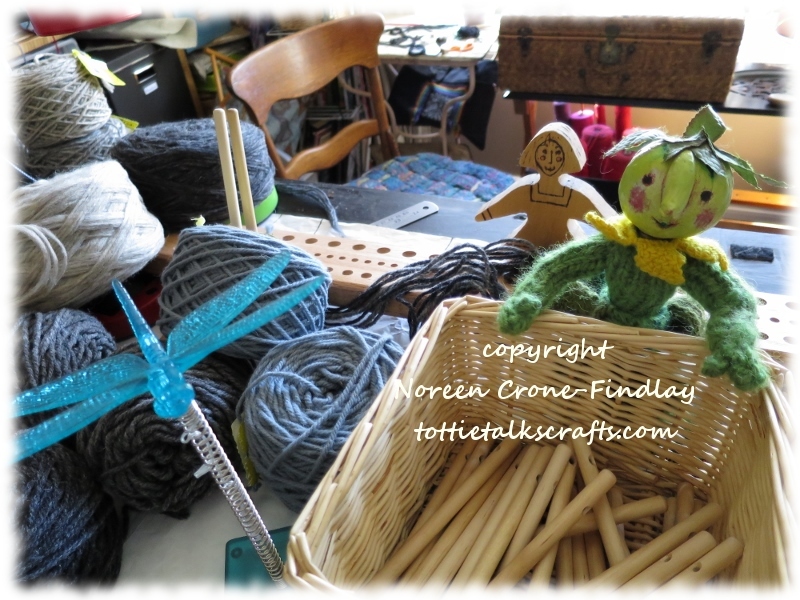 I’ve been working so hard to set up our home and my studio, as well as working hard hard hard on the new book, that poor Tottie hasn’t seen the light of day. But, it’s time to let little Ms Tomato settle into our new studio. She likes it very much, even though it is waaaaaaaaay smaller than our old one. 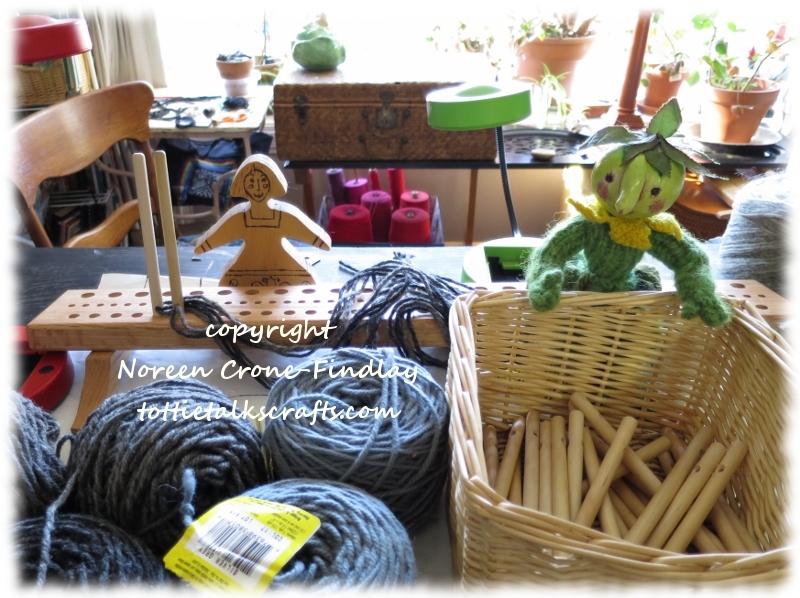 She loves to help warp up the peg looms, which is good, as I am weaving and writing and photographing and and and … full steam ahead! It really feels like home, now that Tottie Tomato is out and about in the studio with me!